As a non-drinker, McCoy disagreed with prohibition and rationalized his new career by remarking, “Americans, since the beginnings of this nation, have always kicked holes in the laws they resented.” But disregard for the law wasn’t his only motivation. Lucrative monetary rewards also enticed him. 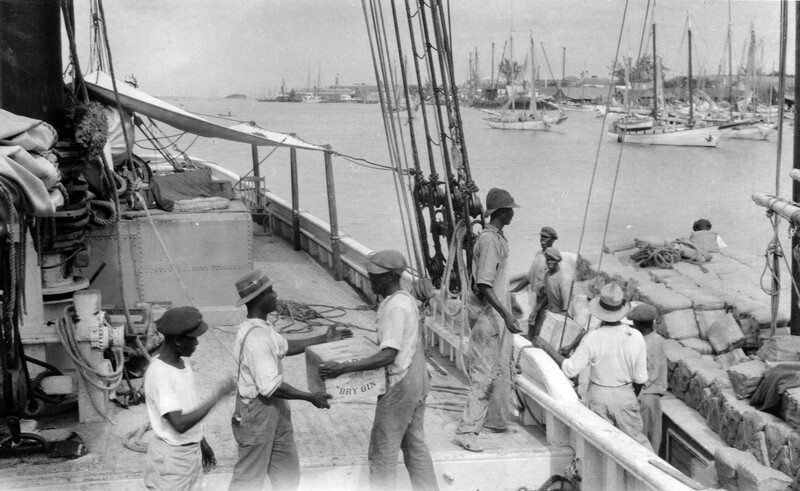 Mccoy’s first shipment from the Bahamas to Savannah, Georgia, in 1921 brought $15,000. Realizing the potential for browth, McCoy bought the 130-foot Arethusa. To accommodate as much contraband as she could hold, her fish pins were retrofitted, and to assist in her speed, McCoy installed a larger auxiliary motor. He also mounted a concealed machine gun on the bow. When outfitted, she hauled Irish and Canadian whiskey, as well as other fine liquors and wines, up the ease coast from Florida to Maine. Sailing her north to New York, McCoy realized by anchoring just off shore he could let “contact boats,” local fishermen and small boat captains, carry the illegal cargo to shore. Being small and quick, the boats could easily outrun the Coast Guard, maneuver through eddies and transfer their cargo to waiting trucks with local law enforcement none the wiser. McCoy simply collected payment while eliminating risk. This was the start of the notorious “rum row,” a prohibition phenomenon that included hundreds of boats selling illegal liquor anchored along the eastern seaboard, off Florida and into the Gulf of Mexico. Rum Row soon became very competitive. Suppliers often flew large banners enticing buyers with wild parties and prostitutes. In time, any remaining civility gave way to lawlessness. Soon, crews armed themselves to ward off other rumrunners who would hijack cargo and sink ships rather than making the run themselves to Canada or the Caribbean. While McCoy was making tons of money, he was also spending it. With the success of his first ventures and figuring he could double his profits, he hired another captain to sail the Henry L. Marshall. Unfortunately, the ship drifted into U.S. waters and in August 1922 the Coast Guard seized it. As its owner, McCoy was indicted, but to avoid arrest he high tailed it to Nassau in the Bahamas. Now a wanted man, McCoy reasoned it was safer for him to remain in Nassau. He placed the Arethusa under British registry and renamed her Tomoka. He alsoregistered her with the French under the name, Marie Celeste, a move made by many American ship owners as protection against seizure. (The Coast Guard wasn’t allowed to board a vessel registered under a foreign country unless they wandered into U.S. territorial waters. )Next, he added two more ships to his fleet and hired captains to sail them. But the inexperienced crew brought great trouble. One ship was seized and several months later the other was severely damaged in a collision. Sapped by the lost revenues, McCoy found himself on the verge of bankruptcy. To remedy the situation, he stacked the Tomoka withonly a half-load of contraband liquor and sailed for New Jersey. Eager buyers snapped up the cargo in two days, solving his urgent cash flow problem. Over the next few months, he made several more trips and by the spring of 1923, his reputation as a leading rumrunner was restored. Specializing in buying only high-quality whiskey, which he never “cut” (diluted), and having a reputation for fair dealing, the phrase “the real McCoy,” a phrase that stands today as reference to the “authentic” article, became synonymous with his name. With cases containing twelve bottles of liquor being hard to handle, he is also credited with inventing the “burlock,” six straw wrapped bottles—three on the bottom, then two, then one—sewn tightly into a burlap bag. Known to the Coast Guard as “sacks” they were commonly called “hams” among the rummies. Agents in cooperation with the Coast Guard put into effect without warning the principal of search and seizure beyond the 3-mile limit, realizing the likelihood of legal complications. The cutter Seneca arrived near Tomoka at daybreak and found the schooner riding placidly at anchor. The ship was first boarded by agents, and as soon as they were on board a fist fight developed in which all hands took part. 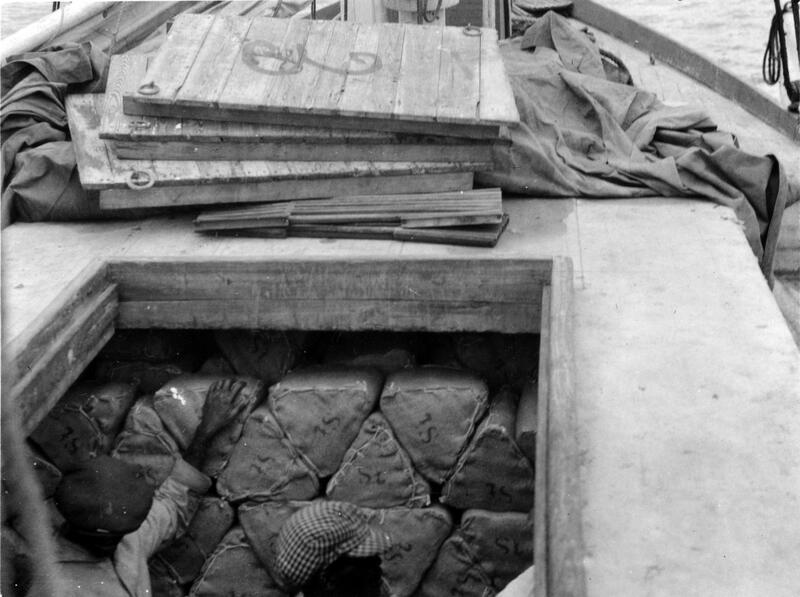 The agents, though badly beaten up, were able to search her and found 200 cases of whiskey remaining from an original cargo of 4,200. Then Tomoka got underway with the agents on board. Seneca ordered her to stop. When she disregarded this, the cutter sent two shots screaming across her bows with the desired result. She was then boarded by a larger group of coast guardsmen [sic] from Seneca and seized. The Real McCoy’s rum-running days were over. And while Britain later protested the seizure, it was held valid and Tomoka was auctioned off two years later. McCoy remained free on bail until 1925 when he served nine months in jail. But a sympathetic warden allowed him to spend most of this time in a hotel where he was free to come and go as he pleased. Upon release, he found that big syndicate competition was too much for him, so he sold his ships and retired to Florida. He claimed legal fees ate up most of his savings, but he lived comfortably and never worked again. McCoy died of a heart attack from complications of food poisoning upon his boat, Blue Lagoon, in Stuart, Florida, on December 30, 1948. He was 71. There was all the kick of gambling and the thrill of sport, and, besides, these, there were the open sea and the boom of the wind against full sails, dawn coming out of the ocean, and nights under the rocking stars. These caught and held me most of all. Order today! 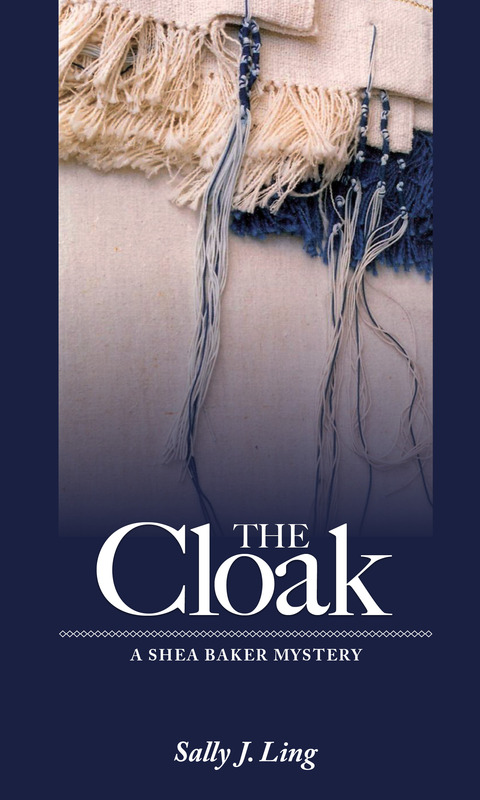 Sally J. Ling’s newest book The Cloak, a biblical mystery, featuring Shea Baker. Learn more.